ProGreen answers some of the most frequently asked questions about our artificial grass and also debunks some rumors. If your question is not addressed here or you would like more information, please do not hesitate to contact us at 855-464-TURF. How can ProGreen Synthetic Grass™ Be Used? Artificial grass has many useful applications. The most common uses are for lawns, dog runs and putting greens. It may surprise you to know that we also make artificial grass for putting green, playgrounds, swimming pool surrounds, traffic medians, patios & balconies, indoor & outdoor sports fields, retail displays, batting cage facilities, tennis courts and bocce ball courts. We have also had customers purchase our turf for indoor playrooms, backyard chess boards, dog agility courses and more. As you can see, our synthetic turf can be used for any number of reasons, and are not limited to only outdoor purposes. If you only need a small piece of synthetic grass (anything smaller than 12' x 15') for a project, check out our Artificial Grass Remnants page. What is the life expectancy of ProGreen Synthetic Grass™? Our artificial grass comes with a limited 8-year warranty, but the actual life expectancy is dependent on use and care. Typically speaking, ProGreen artificial grass lasts on average 20 years. Additionally, we are the only company to offer a 3rd party insured warranty for artificial grass. Is ProGreen Synthetic Grass™ similar to indoor/outdoor carpet? Not at all. Our synthetic grass truly resembles natural grass. Not only does ProGreen Synthetic Grass™ look real, but many of our grass products feel real! The fiber length ranges from 1" to 2.5" depending on the product. Is the sun harmful to ProGreen Synthetic Grass™, will it fade? No. We don't use a topical UV treatment. Instead, our fibers have built-in UV Inhibitors that we mix into the fiber/yarn resin. Turf made outside of the USA will often have insufficient UV protection that can cause the fibers to break down prematurely. 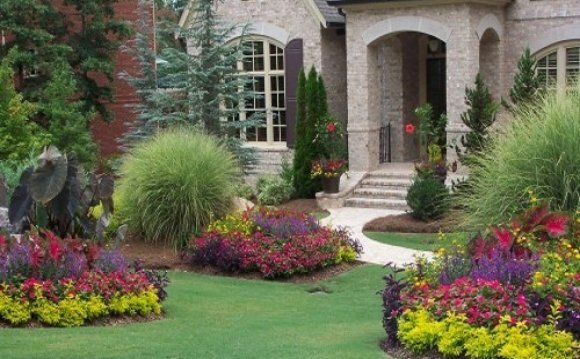 All ProGreen™ turf is made of the highest-quality materials from our plants in the USA. We have projects that we installed in the late 1980s that have no discernible signs of fading. Yes, synthetic grass is hotter than natural grass; it just doesn't have the same natural cooling capacity. There are always trade-offs for the benefits, which include no mowing, no watering, no weeding, no chemical applications, easier dog clean up, no mud, etc. The only real trade-off is that the surface of synthetic grass will be hotter than natural grass. But, we have never had a complaint that it was so hot that it burned a person or pet. However, we have recently introduced our new ProKOOL technology that significantly reduces the surface area of our artificial grass and makes the heat trade-off nearly obsolete. Contact us to learn more about it. The darker green colored fiber absorbs more sun than our lighter shades of green. On really hot days, take these precautions: We recommend having at least one portion of your lawn area shaded for instant relief. If the temperature gets hot, it's always nice to have a little relief area until it cools down again. Also, you can spray the synthetic grass with water right before you walk or play on your synthetic grass on a really hot day. Additionally, you can always wear some type of footwear. Another thing that can be done to lower heat on synthetic grass is adding a light color of approved silica sand or other infill that is light in color. Many people find that the extra heat doesn't bother them as long as they keep moving. But, even if these precautions are not exercised, hot weather has not kept people or pets off of synthetic grass. We have thousands of installations nationwide; including the Arizona desert. Complaints about surface temperature are extremely rare, but we understand people have different sensitivity levels. We just want our customers to be aware that there is a slight sacrifice to overcome the increased surface temperature, but it shouldn't stop you from enjoying your lawn for years to come…even on hot days!